As a part of our progressive pain-reducing protocol, your pet may receive a sedative and pain control injection prior to their procedure. They will likely go home with pain medication as well, depending on the procedure. This ensures as comfortable a recovery as possible following surgery. We have the ability to run pre-anesthetic blood panels (Chemistry and CBC) in house for fast results. We also have the ability to send a Cardio Screen ECG to a cardiologist for review before your pet undergoes an anesthetic procedure. Our clinic uses variable short acting injectable anesthetics depending on what is safest and most appropriate for your pet. The patient is maintained throughout the procedure on a human quality gas anesthesia called Sevofluorane. In our experience, our patients recover smoothly with little side effect after anesthesia when using this protocol. 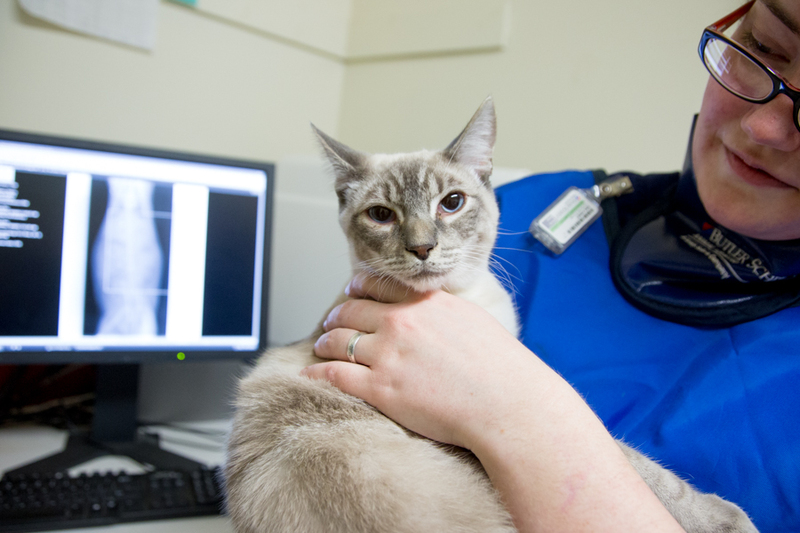 Your pet is monitored constantly and kept warm throughout their procedure. Your pet will also receive an IV Catheter and fluids during their procedure. Our surgical monitoring equipment allows us to watch our patients very closely, and make adjustments as necessary. After anesthesia, they are attended to until they are safely and comfortably awake and in recovery. Please let us know if you would like us to call you when your’ pet is out of surgery and in recovery. We know that anesthesia is something that many people are anxious about, please let us know if you have questions. After surgery, you will receive appropriate instructions upon discharge, as always please feel free to call with any questions or concerns!